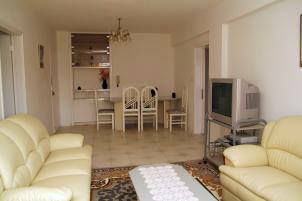 Here are some photos of the Limassol Apartments, they are situated within close walking distance to the beach, about 500m. Near the hustle and bustle of the city and night life of the area yet far enough away for you to be unaware of the busy Limassol nightlife. You could walk to the port and old town where you will be able to see shops of an era long past and you will also be able to walk to the busy tourist area to enjoy the clubs and nightlife. It's only about 20 minutes to half an hours walk or you can take a taxi which is between CYP 3-5 per trip. The zoo is only 10 minutes walk from the apartments. 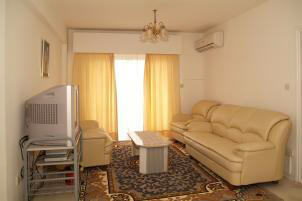 Sit and relax in our living room, we have Sky, satellite TV and a DVD player if you want to watch a film. Even on holiday you like to relax at home sometimes. This is the dining area of the sitting room. you can a more formal meal here. The table can seat 8 people comfortably. 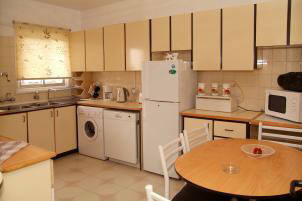 This is the large kitchen area, it can seat up to 6 persons comfortably and has a microwave, fridge/freezer, washing machine and dishwasher. except that they have tiled flooring. A baby cot is also available on request. This is one of the other two bedrooms. The photo here is with one large single bed, the bedrooms are large enough to fit two large singles if desired or we can put a put you up for a child if desired. 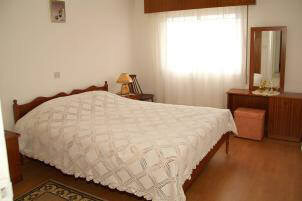 We have left one bed in the bedrooms as we think that it is more comfortable. 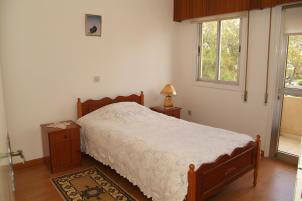 This is a photo of flat 2, the bedrooms here have laminate flooring. There is a bathroom and a guest toilet as well. 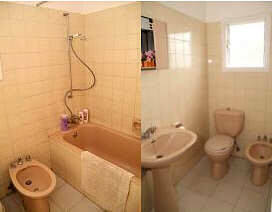 The bathroom has a toilet, bidet a full size bath.